A science balloon floats closer to the stars. Christopher Walker had visited Antarctica for more than a decade before its frustrations finally turned him gray. From 1994 to 2005, the University of Arizona astronomer traveled to the South Pole during most southern summers to install and service a telescope that studied the interstellar medium—the wisps of gas and dust that permeate the space between the stars. In October 2011, though, Walker led a team to Antarctica to deploy a new telescope to study that space—except this time it wouldn’t be installed on the icy terrain, it would be high above it, carried aloft by a giant helium-filled balloon. Eight times the team trudged to the launch pad outside McMurdo Station, the continent’s largest settlement, arriving in the middle of the night (although the sun was up around the clock) for hours of system checks and other preparations before an early morning launch attempt. Stiff breezes scrubbed the first seven tries. “I would Skype home every couple of days or so, and after I was there a couple of months, my kids said, ‘Dad, what’s going on? Your hair is turning white!’ ” Walker recalls. 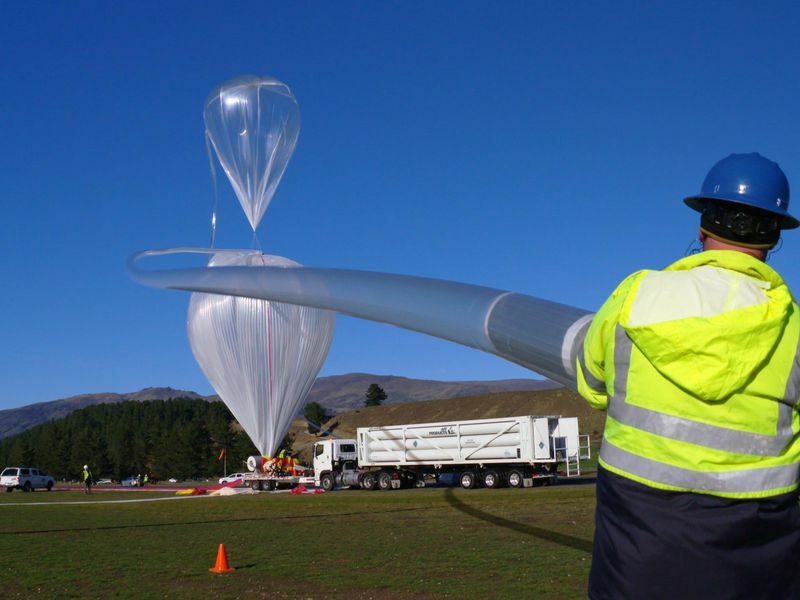 The balloon and its telescope, known as the Stratospheric Terahertz Observatory (STO), finally flew on the eighth try and stayed aloft for 14 days. But a follow-up flight attempt with STO-2 in 2015 was even more distressing—recalcitrant winds kept it grounded. The observatory spent the long, dark winter in storage and finally took to the skies the following summer—on the first try. “It sounds hard, and it is, but everyone who’s been down there on one of these campaigns wants to go again,” Walker says. “It’s the hardest thing I’ve ever done in my professional life. But it’s also the most rewarding.” Walker and his team are hoping for even greater rewards as they prepare for the next balloon mission. This one will be like no other. After its targeted launch, in December 2021, a telescope called GUSTO will float for at least 100 days, its mission designers hope, almost twice as long as the longest flight to date. It will circle Antarctica several times before changes in the seasonal winds push it out over the Southern Ocean. Walker was born in 1957, “during the golden age of space exploration,” he says. Like many who grew up in that era, he yearned to be an astronaut, and began the process by getting his doctorate in astronomy, along with training in electrical engineering and optics. “To build an observatory, you need to have your foot in all these doors,” he says. “You need to understand the science, how to collect the light, how to process that light, how to interpret the data.” His astronaut dreams were dashed when, partway through the screening, he was knocked out of the competition for taking a medication he needed to qualify for enduring the extreme temperatures in Antarctica. 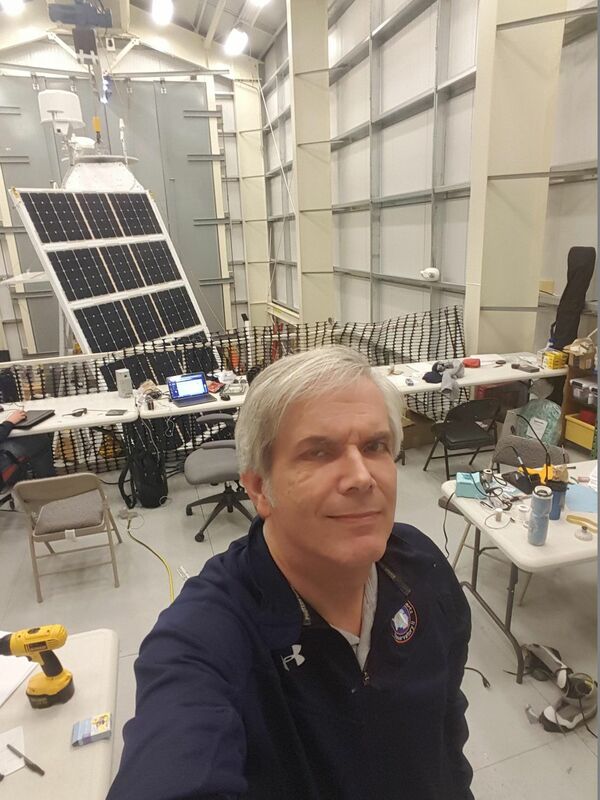 While he analyzes data from STO (the team expects to publish its results early this year) and prepares GUSTO for flight, he’s planning even further into the future with a next-generation balloon experiment, the Large Balloon Reflector. Walker and a colleague came up with the idea in a Bangalore airport parking lot and scribbled the design on a napkin. The concept is a balloon in a balloon: A sphere with one hemisphere coated in reflective aluminum will ride to the stratosphere inside a larger, transparent carrier balloon. The outer balloon provides a steady platform for the lightweight “mirror,” which in turn allows the reflector to be much larger—10 meters (32 feet) or more, compared to current science balloon designs, which can carry mirrors only about one meter wide. Incoming light is focused onto a receiver in the inner balloon. The University of Arizona patented the technology and launched a small company, FreeFall Aerospace, to commercialize the idea. 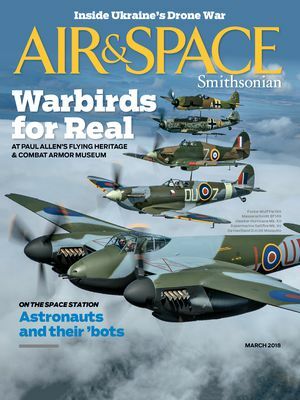 To find the predecessors to these clouds—faint smatterings of gas and dust that are just starting to agglomerate—the astronomers try to map particular atoms and molecules that emit energy at wavelengths between the infrared and radio bands of the electromagnetic spectrum. Known as the far-infrared, the emissions are also called terahertz waves, after the frequency range in which this radiation falls. Water vapor in Earth’s atmosphere absorbs radiation in those bands of energy, though, preventing it from reaching the ground. The only way to see it is to tote the receivers to ground-based locations that are high and dry, or to use rockets or balloons to lift them above the atmosphere. So in the mid-1990s, the Arizona team hit the trail for Antarctica. The continent, a vast desert with almost no precipitation, has such low humidity that visitors sometimes get nosebleeds even when they guzzle water. On their first mission, the team installed a 5.5-foot ground telescope known as AST/RO next to Amundsen-Scott South Pole Station, where it mapped a swath of the Milky Way. A second instrument, the High Elevation Antarctic Terahertz (HEAT) telescope, installed on a 13,000-foot-high ridge about 600 miles from the pole, is mapping even more of the galaxy. 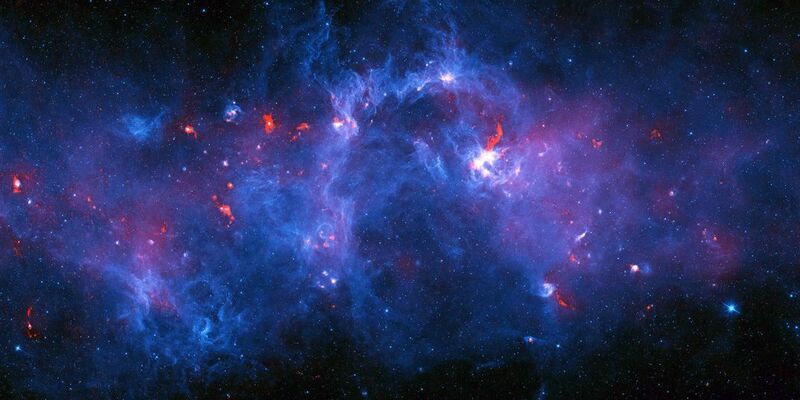 With the balloon missions, astronomers hope to get above even the trace water and heat on the ground in order to see the faint glow of the carbon, nitrogen, and oxygen atoms in the Milky Way and the Large Magellanic Cloud, a small neighbor galaxy. A large scientific balloon can hover at altitudes of 110,000 feet or higher—above 99.5 percent of the atmosphere—and carry payloads of up to three tons. When it lifts off in the dense air at sea level the balloon looks like an exclamation point. As it reaches the barely-there wisps of air at higher altitudes, the balloon expands into that empty space; its diameter grows to more than the length of a football field. Antarctica offers plentiful advantages for these flights, says Dwayne Orr, the program manager for NASA’s Columbia Scientific Balloon Facility in Palestine, Texas, which launches 10 to 15 balloons a year from locations around the world. “During summer, the sun’s always up, so if you use solar power you can maintain power to the payload,” he says. “And the balloon doesn’t cool and droop at night, so you can maintain a good altitude profile. 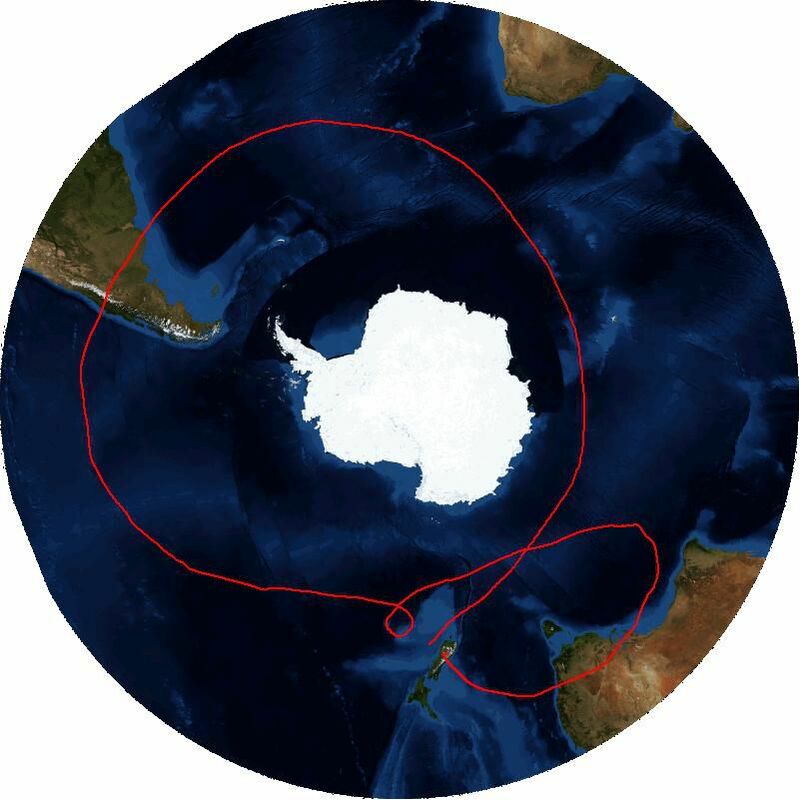 Those things give you long-duration capability.” The prevailing winds form a counterclockwise vortex around the continent, so balloons circle Antarctica for weeks, and the payload can be made to parachute to the ground for recovery at any time during the flight. 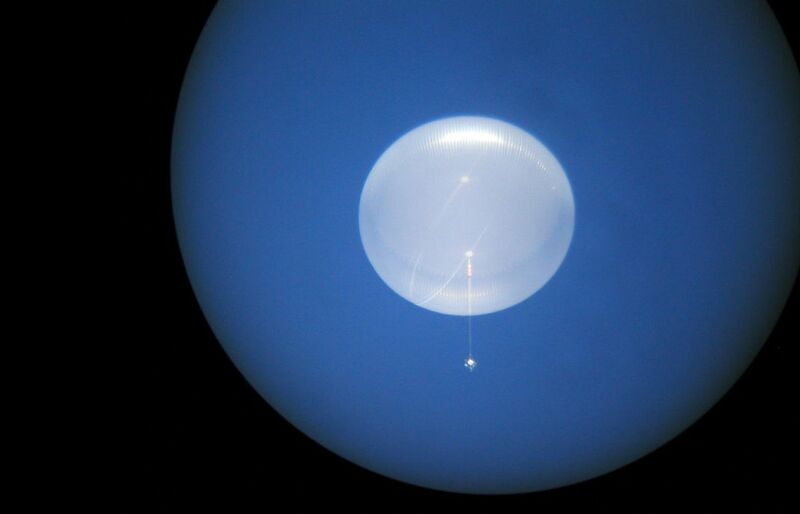 The first Antarctic balloon mission started with a supernova. When an exploded star was detected in the southern sky in February 1987, astronomers realized they would be able to best observe its gamma-rays over the South Pole. 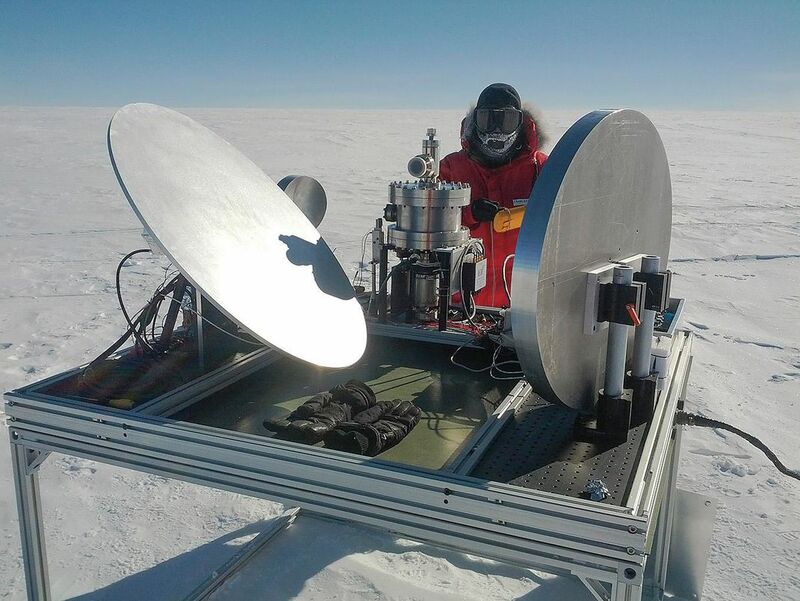 Scientists from the U.S. Air Force Geophysics Laboratory and the Defense Advanced Research Projects Agency (DARPA) modified a gamma-ray instrument that was meant to fly on the space shuttle and sent it up in a balloon over the Antarctic. After its launch, it collected “excellent data,” according to the Air Force report, for three days before a faulty power system ended the mission. Calling the project a “highly successful venture,” the team hosted a workshop for the National Science Foundation that laid the logistical groundwork for Antarctic balloon science. 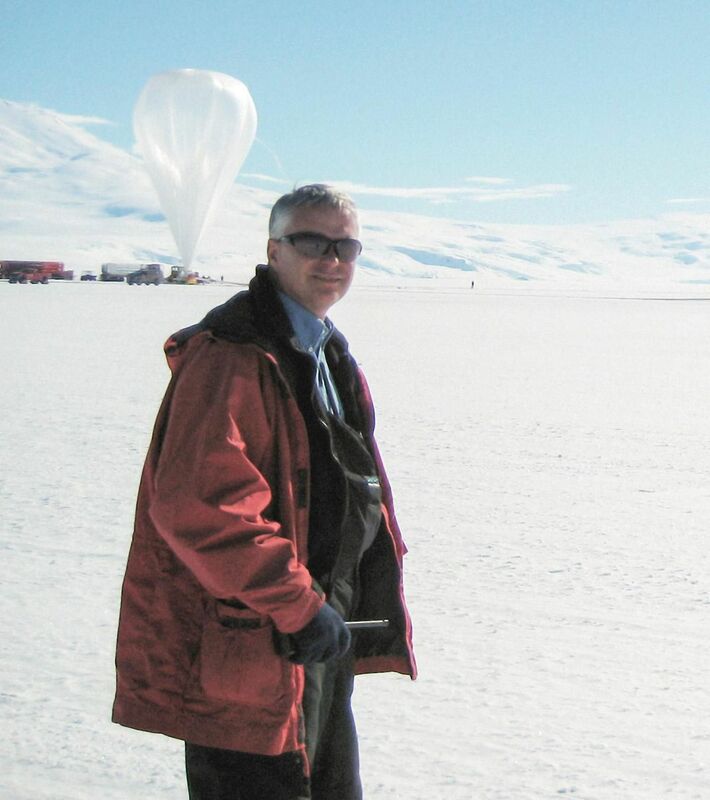 Since then, astronomers have launched an alphabet-soup of balloon missions from the Antarctic ice, including CREAM and TRACER, which studied cosmic rays; BLAST, which looks at how magnetic fields affect star formation; BOOMERANG mapped tiny variations in the temperature in the “afterglow” of the Big Bang; and ANITA has looked for radio waves from cosmic-ray neutrinos. The list includes the two STO missions, which helped mature the terahertz detector technology and give the team experience in balloon flights before launching the more challenging, long-duration GUSTO payload. Back in Arizona, the scientists are about to start building and testing GUSTO. Its two-ton payload will measure 20 feet wide by 20 feet high. It will consist of a 40-inch telescope that will direct light to a series of superconducting instruments contained inside a cryostat—a container like a thermos bottle holding about 33 gallons of liquid helium cooled to -452 degrees Fahrenheit. The science package will include a new telescope built in Tucson, as well as detectors made by Arizona State, NASA’s Jet Propulsion Laboratory, the Massachusetts Institute of Technology, and the Netherlands Institute for Space Research. The instruments, along with solar panels, batteries, and communication gear, will be carried in an aluminum-frame gondola developed by the Johns Hopkins University Applied Physics Laboratory. Once assembled, NASA will test the payload in a vacuum chamber at its Goddard Space Flight Center in Maryland (a step that’s common for a spacecraft but rare for a balloon). Then the payload will travel to the facility in Texas for a hang test—an evaluation of the instruments, communications and power systems, and the structures that connect the gondola to its balloon and parachute. Those people—usually about 16 of them—head for Antarctica around late October, more than a month before the launch season opens (“There is a lot to do, and you don’t want to miss the McMurdo Halloween party!” says Walker), and they may be away from home for months. Once there, they live in dormitories at McMurdo and commute to the launch site, about 45 minutes away on the Ross Ice Shelf. Duffy was a Marine Corps logistics officer and a marine technician for the Scripps Institution of Oceanography before he turned to astronomy and joined the balloon team in 2008. He was in Antarctica for all three STO launch seasons. “Antarctica is a harsh, tough environment to operate in, but you have to be philosophical about it,” he says. Team members find their own ways to cope with the isolation. During the STO-2 campaign, for example, Davis and some friends organized weekly viewings of skiing and mountain-climbing movies. And McMurdo hosts parties at Thanksgiving and Christmas, plus an outdoor music festival, called Icestock, for New Year’s, with performances by the support staff or visiting scientific teams. Once the payload is ready, the team begins final preparations for deployment. Launch is usually scheduled for early morning, when the winds are calmest. Winds of more than a few knots could cause the payload to sway and possibly hit the ground or launch equipment as the balloon is released, and wind shear at heights of up to a thousand feet could rip the balloon apart. At T-minus a few hours the team uses giant cranes to maneuver the payload into position. “We lay out the balloon, check everything again, then we wring our hands and make sure we’re happy,” says Dwayne Orr. They pump the helium into the balloon, which takes about an hour, then release it for the several-hour climb to the stratosphere. GUSTO will be carried aloft by a new type of balloon. Called a super-pressure balloon, it has a thicker skin and a different pressure control system than the balloons that have launched most research missions to date. 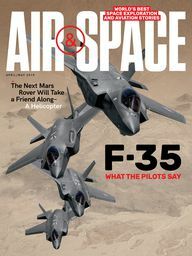 Among other advantages, the new design can maintain a constant altitude as the temperature changes without needing to release helium or ballast. 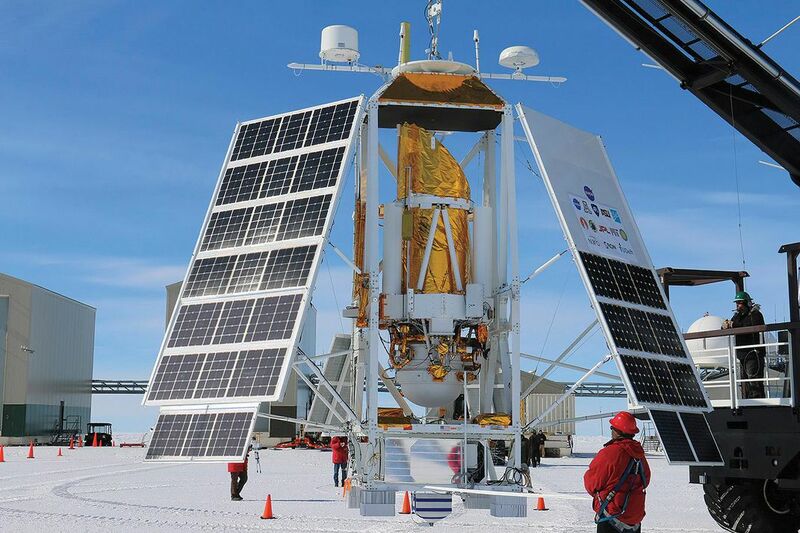 (Though GUSTO will launch near the South Pole in summer where there’s no nighttime cool-down, it will start to experience temperature changes during the weeks or even months it drifts over the continent.) That allows the balloon to stay aloft far longer than older designs. The longest flight of any NASA scientific balloon is 55 days, a record set in 2013 (this balloon, SuperTIGER, launched again for a new attempt last December); GUSTO should operate for 100 to 170 days. That will mark the end of the trail for GUSTO—a stress-free splashdown that just might keep a few more hairs from turning white.